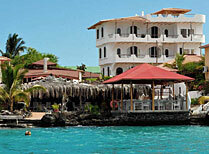 16 room hotel overlooking Academy Bay on the outskirts of Puerto Ayora, Santa Cruz in the Galapagos Islands. 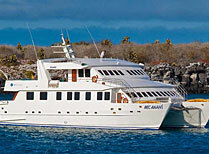 The Archipell I is a modern catamaran provding a comfortable home during your Galapagos cruise. 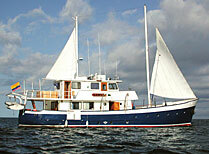 Beagle is an attractive brigantine with teak decks and spacious accommodation, indoor and out. 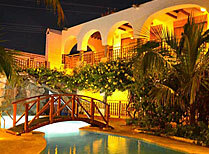 27 room hotel on the outskirts of Puerto Ayora on Santa Cruz Island, Galapagos. 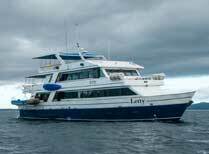 Galapagos Odyssey is a luxury class motor yacht offering the ultimate in style and comfort while cruising these famous islands. 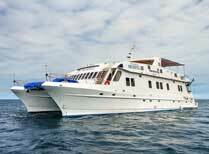 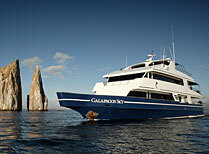 Galapagos Sky is a superbly equipped dive boat allowing you to explore these islands from a different angle. 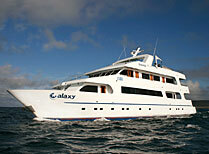 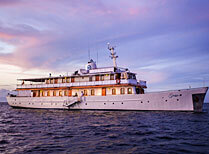 Galaxy is a 16 passenger motor yacht, with comfortable cabins and social areas including a spacious sundeck. 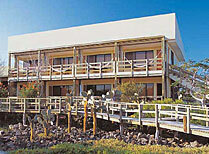 Located right on the beach on Isabela, the Hotel Albemarle is an ideal place to enjoy the natural splendor of the island. 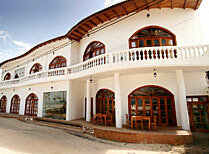 Facing a sandy beach, this small hotel provides simple and homely accommodation on the island of Isabela. 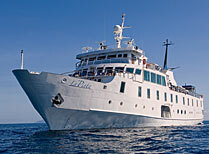 La Pinta is a 48 passenger expedition cruise ship with interconnecting and triple cabins, state of the art interpretation facilities. 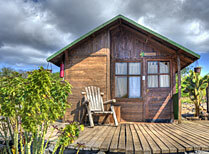 This pinewood lodge is on a black lava beach on the island of Floreana and has just 10 en-suite cabins. 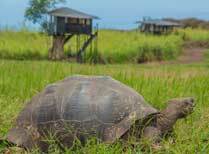 Stay in a tent or treehouse in the Santa Cruz highlands where your nearest neighbours are giant tortoises. 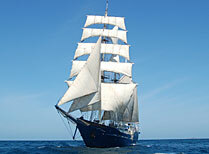 Mary Anne is an elegant tall ship with ample deck space and opulent interiors. 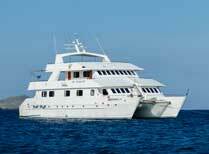 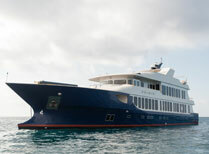 A 20 passenger custom-designed motor yacht, offering twin and triple cabins and 2 naturalist guides. 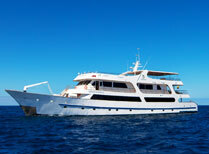 Nemo II is a 14 passenger catamaran with twin and double cabins and spacious guest areas. 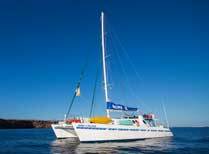 Ocean Spray is a spacious, comfortable catamaran with ample indoor and outdoor social areas. 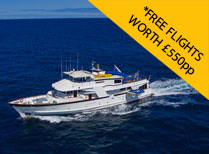 Two identical sleek, eco-efficient motor yachts with spacious staterooms, social areas and a sundeck with daybeds, hammocks and a BBQ. 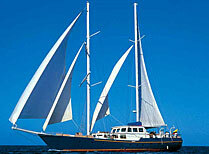 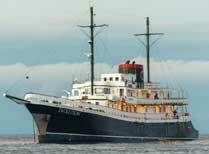 14 passenger steel-hulled motor sailer yacht, generous deck space, an indoor saloon and outdoor dining area. 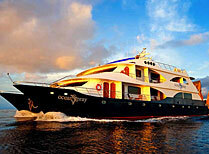 Sea Star Journey is a luxury motor yacht with spacious accommodation and ample deck space in which to relax. 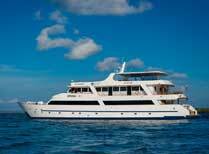 A modern 16 passenger catamaran with 4 decks of accommodation offering double and twin options. 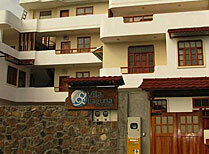 This hotel is conveniently located in Puerto Ayora and has pleasant gardens, a swimming pool and its own dive centre. 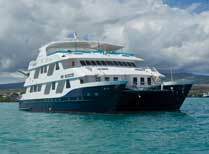 This is a smart new hotel in Puerto Ayora which makes a great base for exploring the island of Santa Cruz.